When Nick Walton, co-founder of Reuter Walton Construction, Inc., and his wife decided to design and build their new home in the charming Linden Hills neighborhood, he created a dream team of his own artisans. Peterssen/Keller Architecture and Martha O’Hara Interiors helped Walton’s team create a four-bedroom, three-bathroom home that easily accommodates the family’s active lifestyle. The home is within biking distance of Lake Bde Maka Ska (formerly Lake Calhoun), Lake Harriet, restaurants, shops, and the Linden Hills Farmer’s Market. The vision for the project was a modern, yet timeless urban cottage with an easy flow between inside and out, generously-sized rooms, get-away spaces for parents and kids, three fireplaces, and a swimming pool. Designed to fit within the context of the neighborhood, the 5,518-square-foot house blends traditional, gable-roofed cottage vernacular with exciting modern contrasts in texture and color. 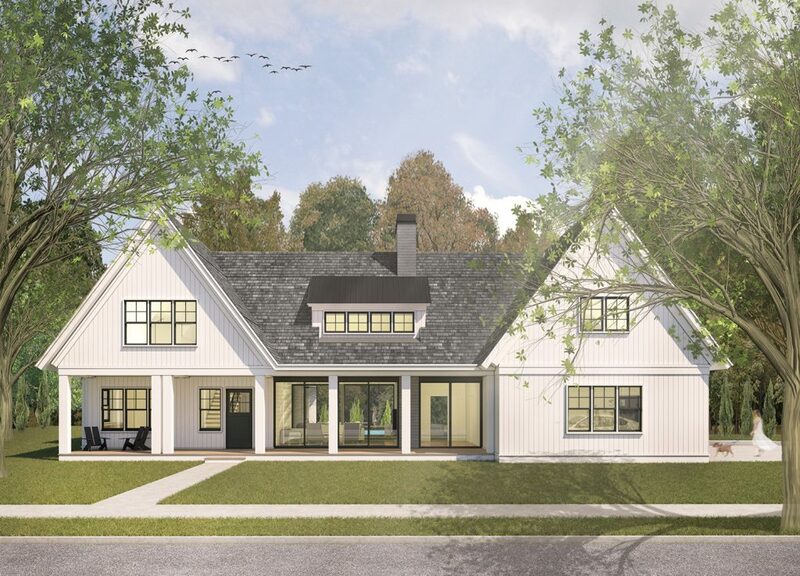 Key design elements include a double gable front façade with a steep roof line and dormers, a traditional front porch and columns, vertical nickel gap siding and metal panels, traditional wood-clad windows contrasted with sliding doors, and a screened porch. Inside, the expansive spaces are finished with a simple, understated materials palette including tongue and groove ceilings, Shaker-style cabinetry, and character-grade white oak flooring.